Blues is one of the most important genres of music. It has shaped other styles, like jazz, rock, metal, even country. Guitarists who know how to play blues guitar have a definite advantage over others. "Is learning blues guitar hard?" I have good news for you. It's rather simple. ...and most of all: how thrilling it is to play! Below I'll review the best blues guitar courses you'll find on the internet in 2019. While you read this post, get yourself into the mood and listen to what many consider one of the best blues songs of all time by BB King. If you type blues guitar lessons into Google, you'll be presented with many sites offering blues tutorials. Some are good, some are not. As I do not offer blues lessons on TheGuitarLesson.com (yet), I want to show my recommendations to my students and everybody interested through this post. I've narrowed the choices down to what I think are the 3 best online blues guitar courses. Now let's have a look at the details of each course. 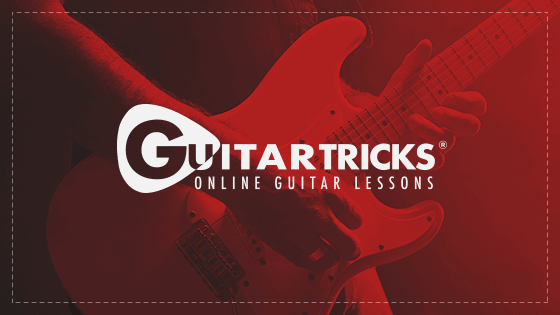 GuitarTricks.com is a real heavyweight in online guitar lessons. In fact, being established in 1998, it was the first site to offer video guitar lessons on the internet. 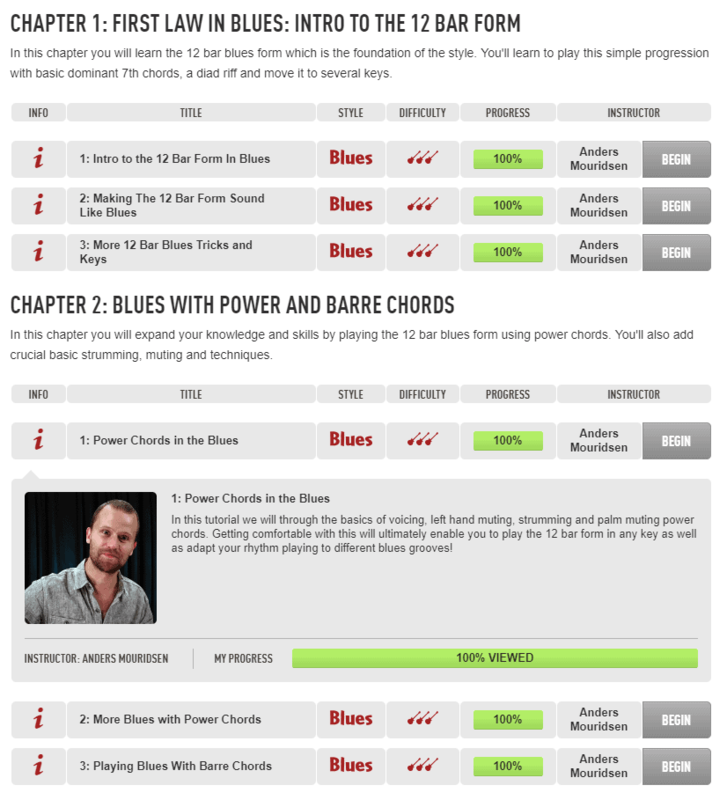 The blues lessons offered by GuitarTricks can be split into 3 main sections. Let's have a look at each. The core learning system is GuitarTricks.com's recommended path for learning guitar. After the fundamentals, you have the chance to learn the intricacies of blues, country and rock. The Blues style course is made up of 2 segments: Level 1 and Level 2. When you look at the table of contents, you can immediately see the amount of thought that went into structuring the course. Each lesson builds on the prior, and as a guitar teacher of 15+ years, I can't think of any blues skill/technique I would teach to aspiring blues players, that is not covered within the course. It is safe to say that completing GuitarTricks's blues style lessons will get you to an early-advanced level of playing. As you can see, Level 1 covers basic blues concepts and techniques. Once you are comfortable with these techniques, you would turn things up a notch and move on to the next level. GuitarTricks has a bunch of what I would call "mini courses" on various guitar styles, including the blues. These are great for quick practice sessions when you don't really have enough time to dive into something too deeply. TrueFire.com is an absolute monster website, with more lessons than anybody could ever go through. They offer many individual courses in all genres and difficulties. The company was founded in 1991, and they initially released lessons on tape and DVD. Than came the Internet. TrueFire has an immense number of guitar lessons. At the moment of this writing, it has 177 courses full fledged blues guitar courses with almost 14,000 individual lessons in them. Picking out each course of interest is useful for advanced guitarists. Beginner blues guitar players are offered a more structured way of learning, called the "Blues Guitar Learning Path". It is made up of 4 stage, with lessons increasing in difficulty. Each stage is made up of "core courses" and also "supplementary courses". FYI the core courses are lessons that build fundamental blues guitar knowledge and skills, while the supplementary courses are stand-alone courses digging deeper into specific blues guitar aspects, like Jazz blues progressions, or 30 blues Americana guitar licks. This stage isn't blues guitar specific. It teaches basic guitar skills to beginners, so I'm not sure why it's even included in the Blues path. Anybody looking to learn a specific genre of guitar should have a sound knowledge of the basics already. This stage of TrueFire's blues course covers basic blues guitar concepts and techniques. If you don't know anything about blues guitar, this is a good place to start. The next stage of TrueFire's blues course builds onto stage 2 and provides more examples, rhythm patterns, licks and techniques. It's important to note that unlike the stage 2 lessons, the lessons in this stage were not developed specifically for this blues course. 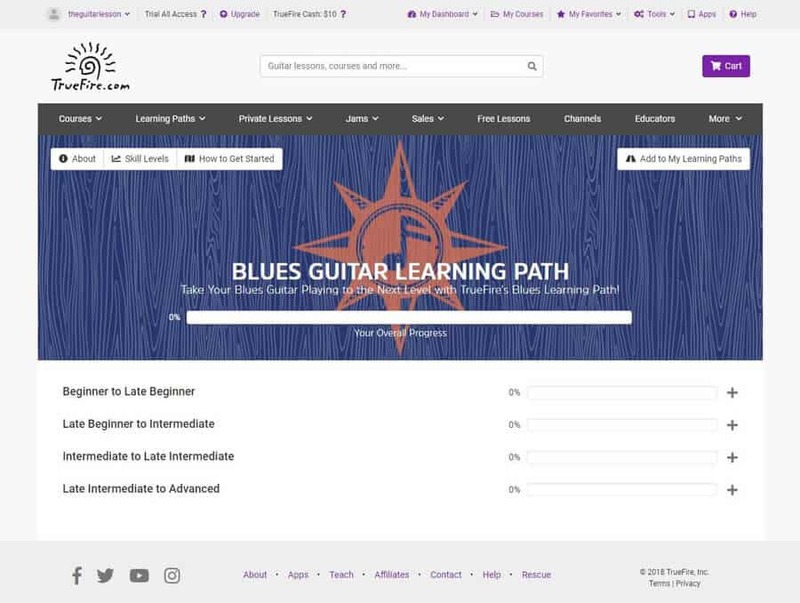 They are actually individual lessons picked out of their massive library of existing courses, and presented in a structure that help build your blues skill-set one lesson at a time. There are a lot of supplementary courses recommended by TrueFire with stage 3, most of them blues specific. They entail specific courses on blues licks, soloing, rhythm and theory. I won't be listing all of them here, you can see them for yourself on TrueFire.com. As in stage 3, the core courses of stage 4 are a collection of individual lessons from other TrueFire courses. They were picked and structured to advance your blues skills in a logical manner. If you learn everything in this set of core courses, you can call yourself a professional blues guitar player. There are many blues specific supplementary course recommendations with these courses as well, some of which are very advanced. 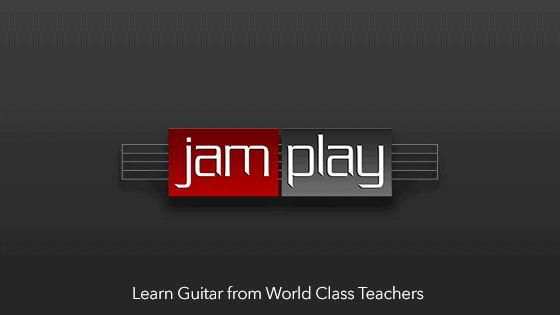 Jamplay.com is another high quality guitar lesson site. It was founded in 2006 and has come far in the number of lessons, teachers and innovation. The main specialty of Jamplay is the wide array of teachers they have teaching the various lessons on their website. This is evident when you look at their "Blues Genre-Based Lesson Sets". At the moment, they list 16 various blues courses, taught by various teachers. Each course will vary in the number of lessons and video length. The curriculum of these courses was probably developed by the given teacher, so a lot of the material offered in the different courses overlaps. If you are a blues guitar newbie, I would recommend either Blues guitar with Hawkeye (acoustic blues) or Blues Guitar with DJ (electric blues). Both these courses offer a semi-structured approach to learning blues guitar. I say semi-structured because unlike GuitarTricks and TrueFire, you can tell that Jamplay's blues courses were not designed from the ground up. Both Hawkeye's and DJ's start out with older lessons, and they have been adding individual lessons to their courses with time. Because of this, they start becoming a bit random as the lessons progress. If you complete either Hawkeye's or DJ's courses, you will have a sound knowledge of the basics of blues guitar. At this point, you would continue with one (or several) of Jamplay's other blues courses. You'll find a number of acoustic and electric blues guitar courses, as well as several slide guitar courses. Jamplay has a large riff library, which is always a treat when you only have 5-10 minutes of practice time and want to learn something new. They have around 80 blues riff & lick lessons at the moment, most of which are electric guitar lessons. Out of all of the lesson providers on this page, I feel the blues tutorials offered on GuitarTricks will serve the beginner blues player the best. The structure of the core learning system is very well thought through, and there are no deviations from that path. 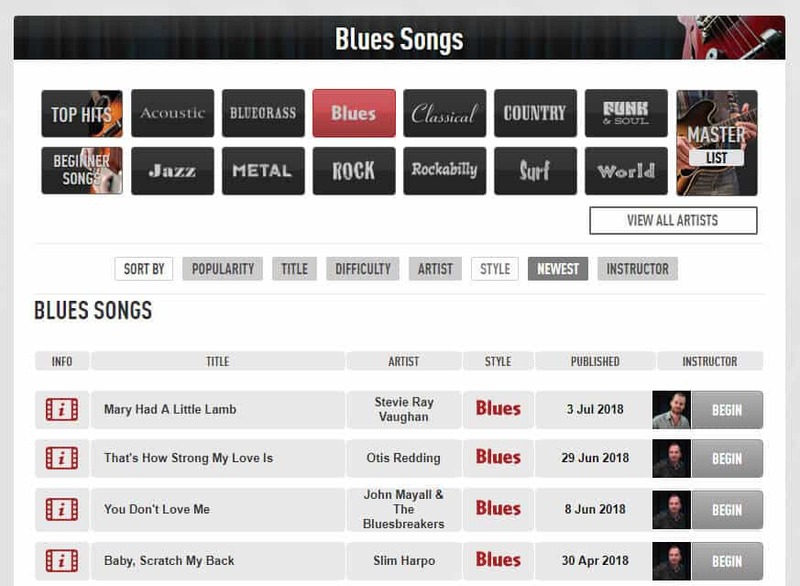 The blues songs section is also a big plus in showing you how to put the techniques into practice. 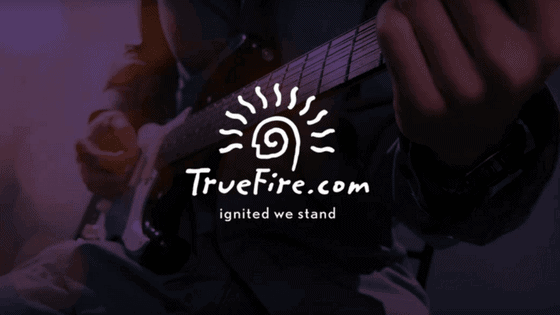 I would say the lessons provided by TrueFire are best for advanced guitarists. The volume of advanced supplementary courses is what sets TrueFire apart. Their basic blues tutorials are OK, but GuitarTricks is better for beginners. I would recommend Jamplay the least out of these sites. Beginner and intermediate blues players will be better off with GuitarTricks, where the curriculum is structured better, has more play-alongs and blues song lessons. Advanced blues players will be better off with TrueFire, which has very specific, advanced blues courses. 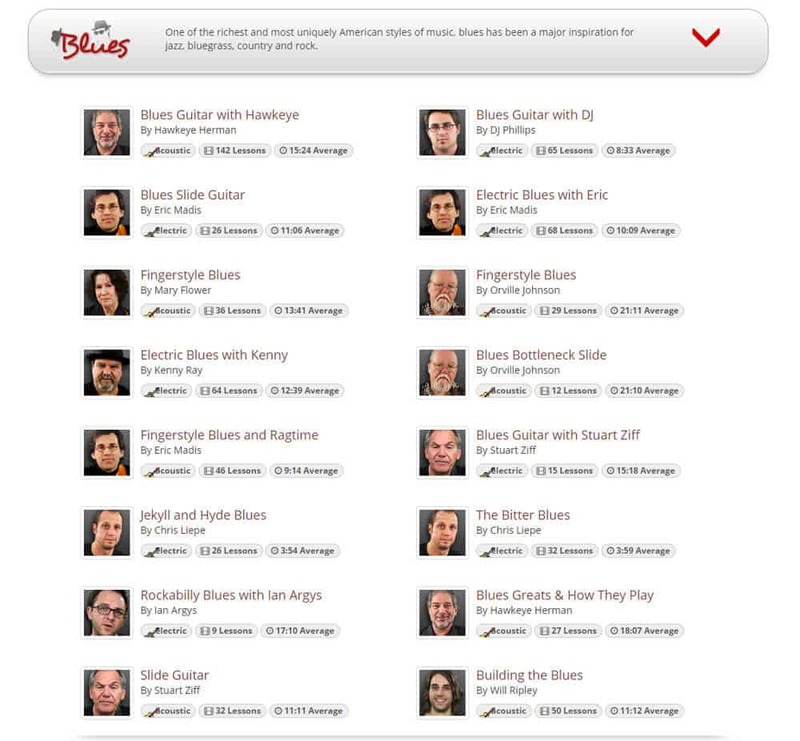 However, Jamplay has several acoustic blues guitar courses, the others do not. Getting high quality educational material, jam tracks, play alongs, tabs, etc. means that these courses will cost some money. I found some discounts for these courses as I was reviewing them, so make sure you take advantage of those. Can you learn blues guitar online? Teaching yourself how to play blues guitar with online lessons is actually a perfectly fine substitute to employing a personal guitar teacher these days. Online video lessons provide a huge range of advantages, that a personal tutor won't be able to provide. The actual price difference is one of the biggest advantages of learning online, since you will be charged a small fraction of what one would typically spend on a personal teacher. There are lots of online blues guitar courses on offer, and deciding on the best one might be more difficult than it seems initially. The reviews on this page will make your job easier. What kind of guitar is best for playing blues? Basically, you can play the blues on any guitar. It's more of a style thing than anything else. Les Paul (Lester William Polsfuss) was a legend among legends in the guitar world. Creating the Les Paul style guitar, he was one of the pioneers of solid-body electric guitar. Les Paul style guitars are arguably one of the best guitars for playing blues. Blues artists who have played on Les Pauls are Gary Moore, Joe Bonamossa, Jimmy Page, Billy Gibbons, etc. Gibson now owns the Les Paul brand, and Gibson Les Pauls are some of the best instruments in the world. Gibson's more budget friendly company, Epiphone, also produces licensed Les Pauls. The higher end Epiphone Les Pauls are great instruments, but nothing beats a real Gibson Les Paul. Of course, there are many other Les Paul imitations out there. One of my first guitars was actually a Vintage V100 Les Paul copy. Fender's Stratocaster is another iconic blues guitar. Interestingly enough, it's single coil tone is exactly the opposite of that of the Les Paul. Blues players who have used Strats are Eric Clapton, Jeff Beck, John Mayer, SRV, etc. As I mentioned, the Stratocaster style is owned by Fender. Fender American Standard strats are great guitars, and the 5 configurations of pickups means that tonal variety is seemingly endless. The Fender American Stratocaster is not as expensive as a Gibson Les Paul, so that's definitely great news if you prefer the sound of the single coil pickups. Fender's budget brand, Squier, also makes Stratocasters, but they are not as high quality as American strats. There are also other guitar manufacturers who make variations of strat-style guitars, for example PRS and Ibanez. Semi-hollow body guitars are chambered guitars with a wooden block running down the center of the guitar. Such guitars resonate beautifully with nice full bodied humbucker tones, and the center block gives good sustain. Artists who have used such guitars for playing the blues are BB King, Eric Johnson, Chuck Berry, Freddie King, etc. The best known semi-hollow body guitar is probably the Gibson ES-335. As with anything Gibson, it's an expensive, high quality guitar. Should you learn acoustic or electric blues guitar? The first blues players of the early 1900's used steel string acoustic guitars to play the blues, so you can say the blues is rooted in the acoustic guitar. Think Robert Johnson, Lightning Hopkins, Mississippi John Hurt (here is a list of the most influential blues guitarists). With the evolution of music and the advent of electric guitars, many blues players started playing on the electric guitar. You can play blues on either the acoustic or the electric, it depends on which type of music you prefer. The style of blues you play on each type of instrument will of course be different, so it basically depends on what you prefer at any moment in time. If you are a beginner and must choose between an acoustic or electric guitar to learn blues on, I would suggest the electric. A Fender Stratocaster to be exact.